It’s difficult to explain what happened to my wife, Jill. 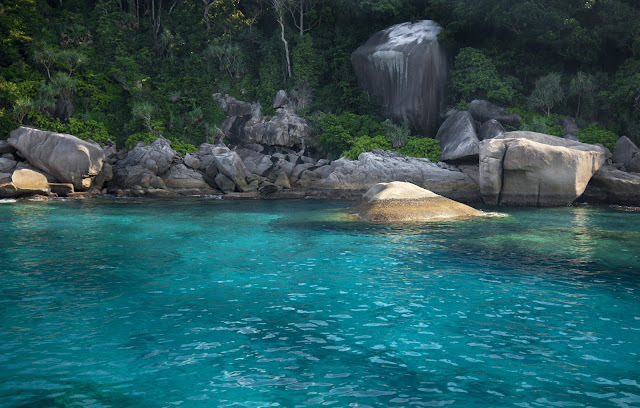 She has been in the water all of her life; swim team, lifeguard, boating, snorkeling, and eventually scuba diving -but it wasn’t until a particularly sunny day, in the dense blue waters of the Andaman Sea, that it happened. We were eager novice divers on out first “live aboard” trip to the Similan Islands, a hundred miles off the west coast of Thailand. 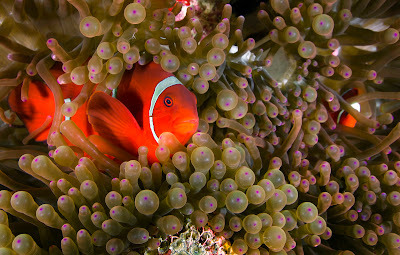 As a photographer, most all of my diving stress is centered on taking my camera equipment under the water. 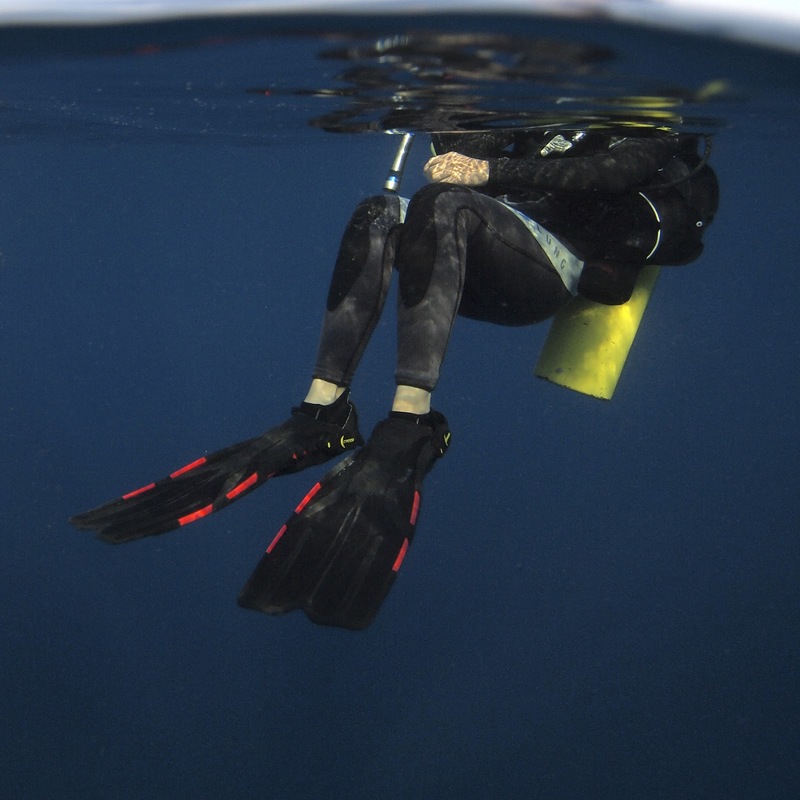 As my dive buddy, Jill’s stress is mostly – me. She keeps a watchful eye on me while we dive – in case I get too close to a lionfish, don’t realize I’m being followed by a barracuda, or stray away from the group, preoccupied by the scenes through my lens. That was our deal. We both watched our gauges (although she was much more vigilant than I) and were generally “easy” clients for the guides. We dove enough to be comfortable at depth and in strong currents. So with this comfort, I focused on my camera and Jill focused on me - until one brilliant afternoon near the craggy black island wall of Koh Bon. We back-rolled into the water from the tiny blue and red dingy, making it tip crazily as it was unburdened. Amanda, our guide, gave us a quick check and we all descended. As we sank lower, toward a brilliantly colored slanting floor at about 80 feet, I focused on a huge Gregorian fan, trying to frame it for a picture. Jill and I each carry small metal containers filled with ball bearings, that when shaken underwater, send rattlesnake sharp sound waves for great distances. It was our way of saying, “Hey, look at me, I need to show you something!” I took a picture - and then heard Jill’s rattle, prolonged and distressed. The giant manta drifted above our heads, silhouetted black, wings out wide, gliding into the current in about 40 feet of water. I tried to get as many pictures as I could as the enormous winged creature soared around us, gracefully turning in large banking arcs. I was stunned by its size and potential for speed, “Its so strong” I thought. Jill, floating with her arms folded, enveloped by the blue, was suddenly seized by the entirety of the ocean. She told me that at that very moment, it all came together for her; the entire undersea world of life became tangible and real. A minute before, she had just been diving, but now she was part of it – an infinitely small, meaningless part of it all. It was a symphony of life, from the great manta to the clown fish guarding its anemone; schools of batfish and jacks moving in unison to unseen forces, parrotfish munching rock, gobies watching out for their blind shrimp room mates, cleaning stations filled with millions of fish and crustaceans, damsels darting through staghorn coral, thousands of swirling glass fish - like a dancing veil of fairy dust. Every crack in the reef had an inhabitant. Every hollow in a sponge, or secret passage in a coral contained life. It was an immeasurable puzzle, with all of the pieces in perfect order – and yet in constant motion. The candy-colored world seethed around her in perfect harmony – it was loud, and confusing, and busy – but peaceful and magnificent at the same time. She told me that it was hard to fight back tears, tears that would have obscured the world to her new eyes. All of the cares that she had had just moments before - thoughts of being warm enough, of breathing slow and deep, of wondering always what was behind her, of being too far from me – all were replaced by just the weight of warm water, like she had been taken into the arms of the ocean. There is no place on earth with a higher concentration of life, or more color per given space. The ocean is life. It is life for this entire world – and yet, we see none of it. The luxury that is afforded to some, the indulgence of diving down into the ocean and witnessing first hand all of its power and life, is something I wish everyone could experience. For Jill it was life-altering; a sudden realization that we on land know nothing of the vast majority of the planet that we call home, and that such life goes on, in such numbers – day and night, shallow and deep, without end. 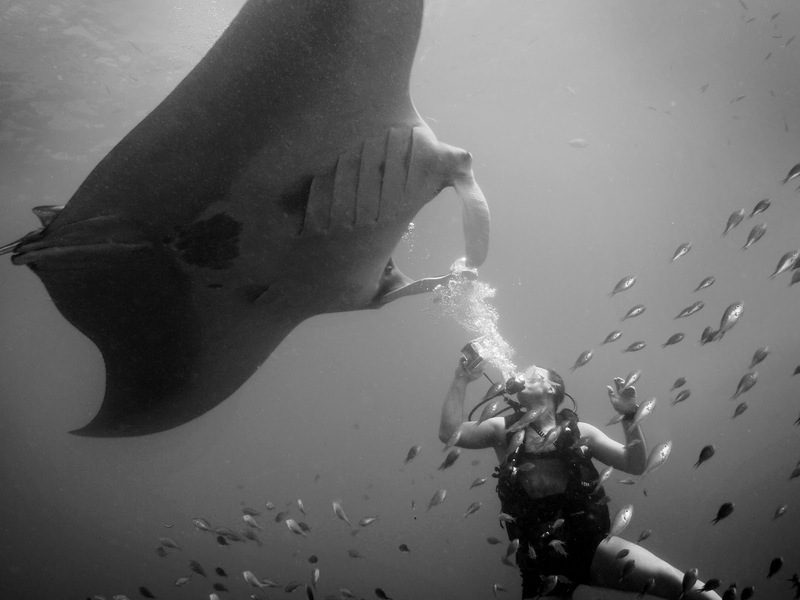 Even though we had numerous dives in the Similans prior to this one, for some reason it was the ghostly manta that painted the last brush stroke for Jill. 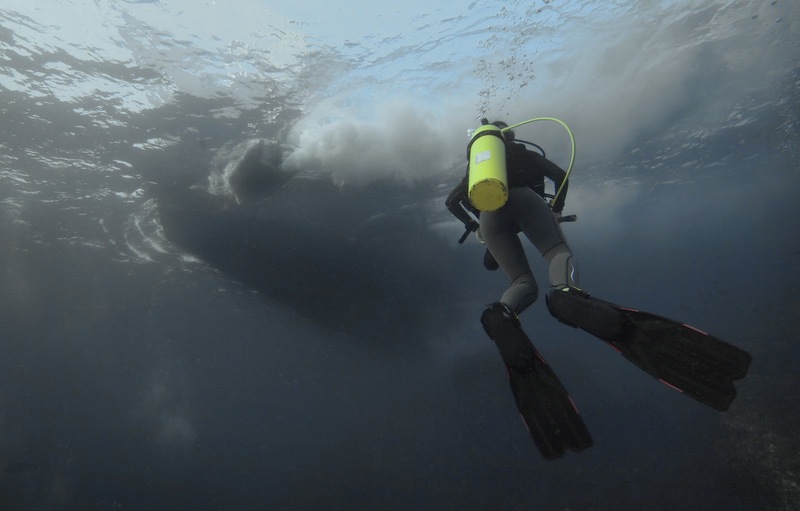 Perhaps the size of something so imposing and gentle, swimming so close to a huddled group of technology-laden air-breathers, put everything else into perspective. The manta, a virtuoso of grace, carved turns around us, coming close, looking at each of use with its great dark eyes. Jill said she looked right into his eye, for as long as he would look back, barely breathing, understanding. She never wanted to go back up. Once out of the water Jill exclaimed, through tears, “I can not believe that entire performance down there, it goes on 24/7! Its like a Vegas show that never ends!” It was something that she could not shake from her head for days - and even now, with a single inquiry, it returns to her instantly with all of its vivid magic – the greatest show on earth. That such a place exists, that has always existed - is truly hard to believe unless seen. After that day we did many more dives in the Similans, and often times with the mantas. 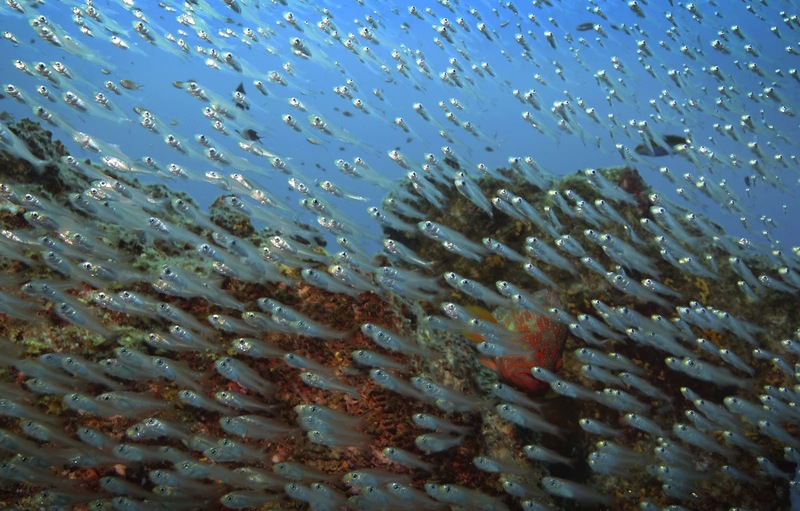 These amazing fish are the size of garage doors and agile like hawks. 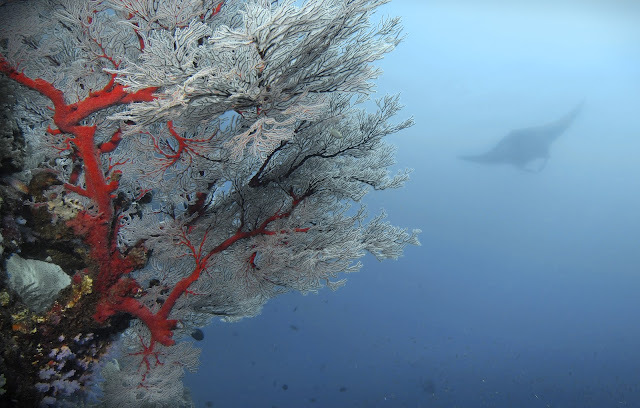 We were so enchanted by their presence that a year later we made a trip to the Komodo Islands just for mantas. Again, we were with our guides from Thailand, and again they knew where to find the winged ghosts, and again we dove with them – but this time it was different. In a strong current in about 60 feet of water, hugging the gravel floor of the ocean channel, twelve manta rays drifted around us like shadowy kites. I watched as Jill, arms out wide, slowly waved her arms up and down, as if she was a manta, beckoning them closer so that she could look into their eyes once again. Elegantly and slowly, a large black manta worked its way toward Jill; its great gilled mouth open wide, taking in plankton from the swift moving water. I switched the camera to video and watched as the massive animal just hovered next to her, its wingtips moving just enough to keep it from being carried away in the current. They were close together for several minutes – each looking at the other in fascination. The others soared around like a flock of pterodactyls in slow motion, looping and banking and diving – always to angle themselves into the current for another mouthful of plankton. When we had run dangerously close to our air limits, we reluctantly grouped up tight and slowly ascended to the surface, always looking down until the mantas vanished in the food-rich waters. 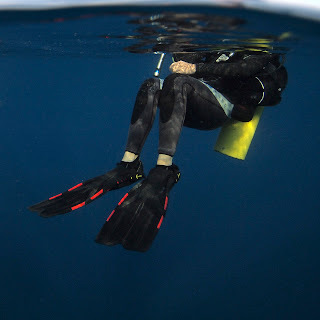 We dove this exact spot three more times, each dive becoming longer and longer as we learned to conserve air, and each time dreading the need to return to the surface. In an overwhelming interaction with the grand manta ray, Jill found within her a sense of scale and wonder and emotion that she had never had before. It’s why we will go back to the waters of the coral triangle, and it’s why we read and study and support all of the conservation work being done by a variety of energized groups. 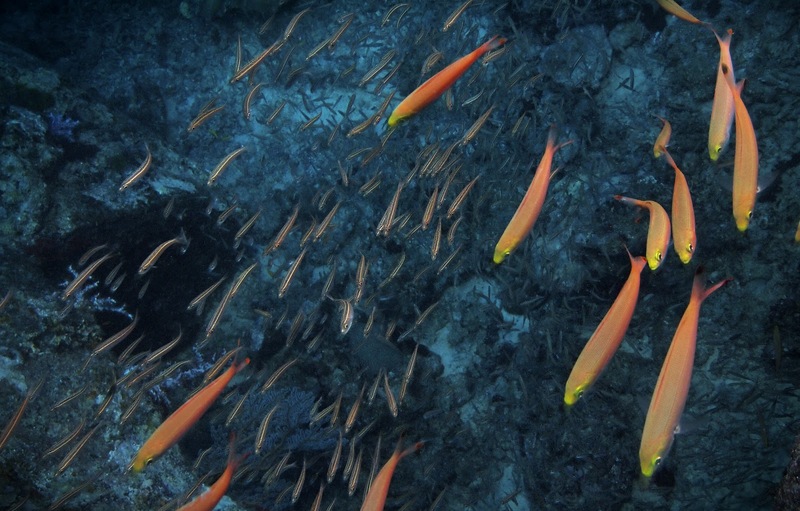 The devilfish, as the giant manta was once known, is shortlisted for an endangered species classification, and without intervention, the species will disappear into the depths of history. To see something this majestic in the open ocean is hard to describe; it’s a marvel of design for sure - and so much more. 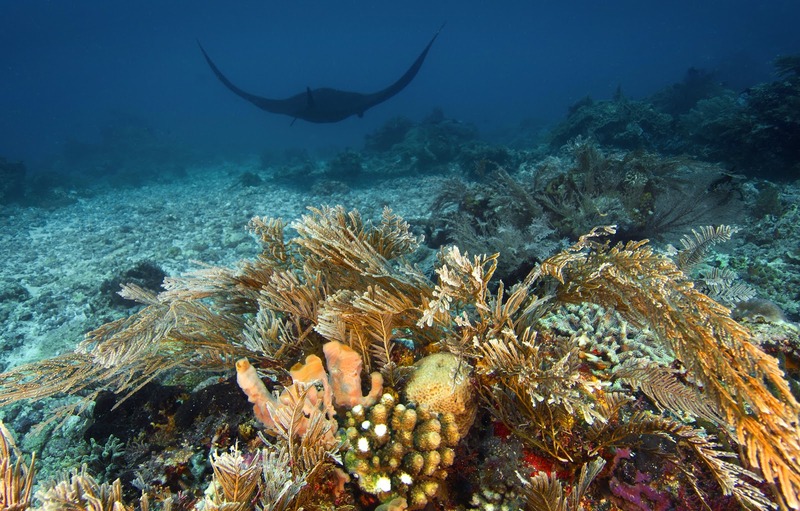 If you would like to know more about manta rays, to donate to their conservation and research, or to even adopt one – please click on the links below. The hour-long movie is also well worth the watch.